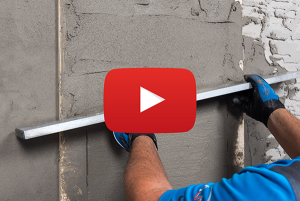 Planitop 330 Fast from Mapei is said to be a quick-setting, polymer-modified, fibre-reinforced cementitious rendering, patching and leveling mortar for interior and exterior walls, floors and submerged areas. It can be applied from 1/8 to 1-1/4 in. (3 mm to 3.2 cm) in thickness to ramp, smooth or level surfaces. Eliminating the need for a latex additive, the company says, the mortar requires only mixing with water to produce a non-sagging mortar that bonds directly to the substrate and is ready for tile installation in as little as 90 minutes. The product has the added environmental benefit of having been verified “Red List Free” per the most current Red List on the Living Building Challenge website.